And so the season begins! We are doing a 'slow road-trip' this winter -which means, every time we have the occasion, we jump on the plane to Sapporo, then take a train to discover some of the many, many terrific ski resorts in Hokkaido. First stop: Otaru, Kiroro and Kokusai. Not only the views are stunning and the Japanese atmosphere unique, but the powder in Hokkaido is champagne of the finest type, being not only one of the deepest but also the liiightest in the world! A detail that change my love for snowboard to addiction. Excited like kids on a Christmas morning, we land in Japow, get our visa stamped and head to the train station in the airport. We get our ticket at the machines -like locals! No need to rush or no need to wait, the Rapid Airport train comes every 20 minutes. There starts the journey to powder, crossing Japanese villages covered with snow then going along the coast. The combination of the snow and the Sea of Japan is beautiful -one of the best train ride we had so far. Exactly seventy-two minutes later, there we are: Otaru Terminal station. All white and cute. Based in the Dormy Inn Hotel, we're 1 minute walk from the train station, and 40 minutes drive to our powder wonderlands Kiroro and Kokusai. 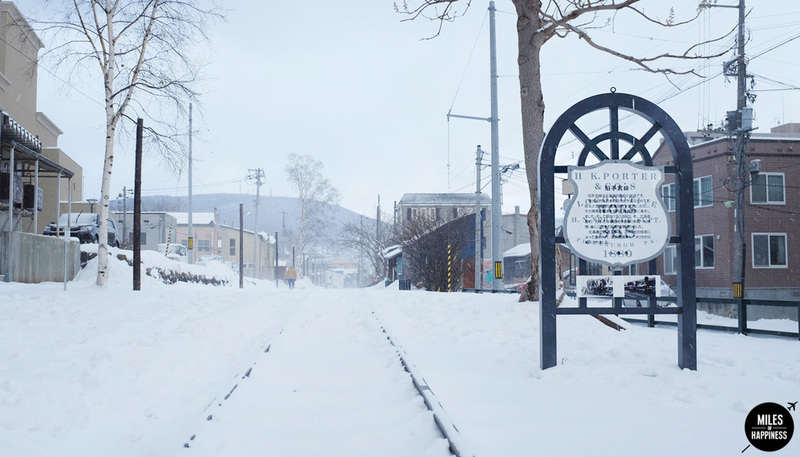 Otaru is a city of hidden treasures, from romantic abandoned railway, charming canal, natural onsen to old industrial buildings. 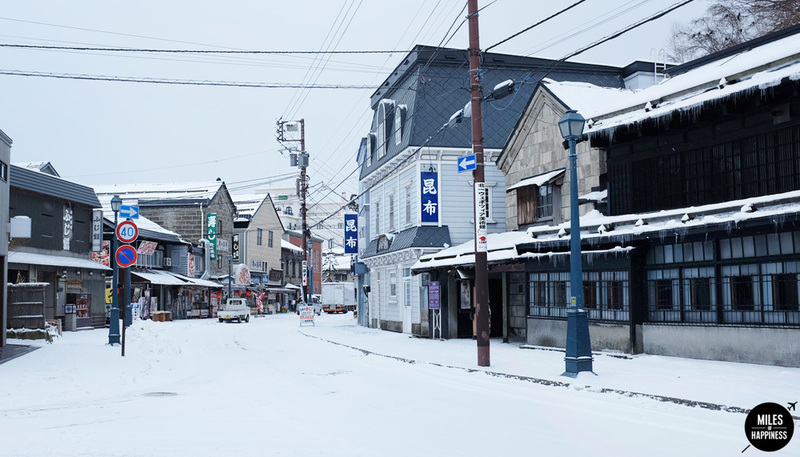 More than a fine base to ski around, it's a lovely town to check out with the most renowned sushis in Hokkaido and very good craft beers at the medieval Otaru Beer. #takemeback! Kiroro. When you hear the name of the place, you wanna go -at least just to check if the place is as cute as the name. The 40 minutes journey to Kiroro is a true pleasure -we can see the Sea of Japan from the mountain. It starts to snow again, adding another layer of fresh powder. We are stupid happy! All geared up, we hop on the gondola for the first ride of the season. I'm floating on a thick layer of cotton -I bounce, white sprays surround me, I get some speed up, from clouds of powder to other, faster, faster, faster, the adrenaline makes me float -or so I think, I've completely lost the control of my board. Pow! I am STUCK. Snow to my waist -I can't even see my snowboard. I see a Japanese snowboarder stuck nearby. Delighted giggles. There's no such thing as too much snow! First lesson of the day: do not fall when there's this much powder. And so it continues, exploring the area -it's ridiculously small compare to Europe but it's DAMN GOOD. Kokusai. And so the madness goes on in Hokkaido! Once again, the road to Kokusai is scenic. The resort it even tinier than Kiroro -but the SNOW! Light. Plentiful. Fluffy. Wow! There's load of powder everywhere -not only the backcountry is brilliant, but the slopes are perfect too. And it's so quiet. We've got that whole paradise for ourselves -maybe it wasn't such a bad idea to come in mid-December. I finally understand why Hokkaido is called Mythical Powder Paradise. Now that I wrote that post, there's only one thing I want to do: pack & go back to Hokkaido Powder Paradise! On top of the superior quality of the snow -that will make you appreciate skiing/snowboarding more than ever- I've really loved the unique Japanese atmosphere... The people, the language, the onsen, and of course the FOOD (I didn't even miss my Cheese fondue from the Alps! ), it all makes this trip in Hokkaido unique. If you've been skiing/snowboarding in Hokkaido, please share your tips/recommendations/impressions -I'm eager to learn more about this wonderland. And if you haven't been yet, you know what you have to do! Want more Powder in your face? Older PostHow To Find Happiness Right Where You Are?